It is as gabber and ambient trip-hop producer that Samuel Severino makes his first steps in electronic music (1996). Born Italian, he grows up in Switzerland. He makes for himself a nice reputation there, evolving towards break core and drum’n’bass. 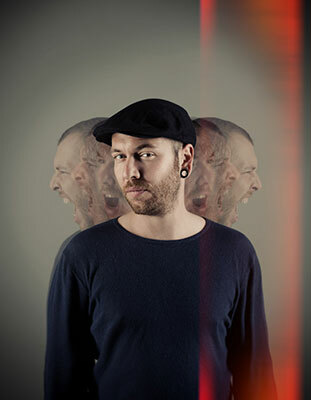 He’s not then only a producer anymore but also a Dj, under the name of DJ Assuti, inside the collective “Rhythms of Fury”. He mixes side by side with Dj Die, Krust, Aphrodite, Bad Company…and this in the biggest rooms of Switzerland and Italy. He obtains a residence at the Loft in Lausanne, plays occasionally for the Swiss radio station “Couleur 3”. From 1998, his eclectic side leads him to techno, electro and minimal as well. In 2004, he leaves Switzerland and settles in Berlin to carry on with his studies in musicotherapy. For two years, he puts his passion for music aside, he finally comes back to it, turning himself to minimal techno, deep house and changes into “Luca Torre”. The bookings follow one another and bring him everywhere in Europe, From the club « La Ruche » in Lausanne, where he contributes to organize some parties, to the Sonar festival in Barcelona, passing through the lively nights of Bologna. He obtains residences in some of the most prestigious clubs of the german capital. At the cutting edge of Berlin’s sound, Luca Torre fiddles with sounds and machines since he’s 13. Some people portray him as a fanatic, an architect of new sonorous constructions with deep house and techno minimal shades. End of 2008, he creates with his friend and artist Liviu Groza the duo « Augustine » with their title « Cucuphe » present on the second EP of « La Ruche recordings ». He signs on other labels like Recycle, Gimmick, Highgrade, Villa magica or Caduceus. His carrier is currently boosted by his talent, his passion and the recognition of the biggest names of techno who take part in his projects. A true artist who keeps some beautiful surprises in reserve for us.